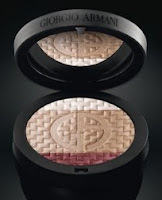 Featuring Megan Fox, Giorgio Armani Beauty is rolling out a sophisticated yet wearable look for fall. How Armani! I was able to get photos of the new palettes to show you, courtesy of my friends at Planète Beauté. If you love makeup and you aren't following Planète Beauté, my first question would be, "Why not?" 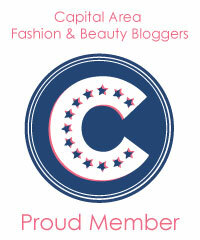 Planète Beauté was one of the first blogs I linked on my site. 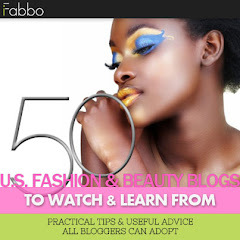 I was new to blogging, and I found their content to be superb. I was a bit jealous too because Europeans often get press releases about European collections before the information lands in the United States. Sometimes I think our photos arrive in the U.S. by raft - one that crossed the Atlantic in turbulent weather! Go subscribe or follow Planète Beauté! Don't tell me you can't read French. Google Translate will help you. 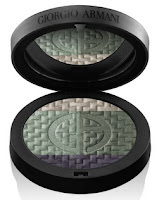 As I started to write this feature today, in came more Giorgio Armani Beauty Fall/Winter 2011 photos I'll be able show you this week. I feel like I won the lottery - and I don't even have the products in hand! For now, look at these beautiful eye shadows I have in my future. The jacquard pattern, inspired by couture textiles, gives the shadows a three-dimensional appearance. 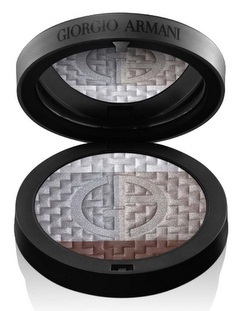 The Giorgio Armani logo ensures we make no mistakes about their exclusive origin. These color s look extremely wearable. Each palette has a highlighter to illuminate and a dark color to use as a liner. Two shades of the same color (grey-blue, green, and neutral pink-browns) seem to take their inspiration from Pantone pages. The palette with the black background below may actually be a face palette, with a highlighter, blush, and cheek color. Even it it's intended for the eyes, it would make a beautiful face palette to create a pink and healthy glow. I need to get my hands on it to see if the small sheer red at the bottom is large enough to use as a blush. You can tell I don't have complete information yet. In the past, I've found that the European collections (or early photos) are occasionally slightly different from what we receive in the U.S. I've also seen the "look" photos differ from one continent to the next. We may have to wait until late August or early September to see these beauties in person. That will be agonizing for those of us who buy everything Armani. I want to wear these now. im not a megan fox fan at all.. but that promo picture is AMAZING..
Az, I'm not either. I try not to say snarky things about her. I edited a line out of this feature. Honestly, I think she was a horrible choice by Armani, a line synonymous with elegance. She is anything but, in my humble opinion. Armani had a very brief sale two weeks ago. Friends & Family happened. It was very short in duration. aww i'm sad i missed it.. i really wanted to pick up.. well, everything..
i try really hard not to be judgmental when it comes to celebrities.. they have their lives and they live it however they want to.. but i do have to agree with you on the fact that armani couldve picked a different model. sometimes i think im too harsh on megan fox.. but i cant help the fact that i just really am not a fan of her work or what she represents. i guess its a plus that if you didnt mention its megan fox in the pic, i never would've guessed thats her haha.. I'm so in love with Armani these days. I can't wait to see more! They're really pretty. I can't wait to see them in person! oohhh, i can't wait for this collection. From rouge deluxe blog, I read that there will be three new rouge d'armani shades!!! rouge d'armani is my HG lipstick formula. Bravo on that ad campaign, Armani knew what they were doing by hiring her as the face of their company! Doesn't she just make you want to buy their products - lol? Hi everyone! I read a profile on Fox in a magazine that gave me an impression of her. Too bad it wasn't flattering. Liz, I have the rest of the photos and will be able to show them to you very soon. My goodness that grey one is stunning. So is the neutral-pink one. When these become available, I don't think I'll be able to resist...just have to choose, though! For must of us Armani fans, these will be must-have palettes. I can't wait! Hi all!! Thank you, Charleston Girl, for all your beautiful diligent work on this delightful blog- I've been reading for a while (subscribed) and am compelled to join the "objection" to Megan Fox here. I'll say that they surely could have made a better choice. Beautiful shadows, though!! Why is it that all over us who are over 25 find her a somewhat tacky rep for such elegant makeup? say what we will about ms fox...the boys LOVE her. she does look quite elegant in this photo. i will be checking back every day to find out the name of that amazing lipstick shade she is wearing. just gorgeous. Love that pic in the post! Such great colors! Thanks so much for the photos. I was already calling our favorite saleswoman (Kathy Shoreman) for a couple of the new Armani glosses, when I saw this post. I told her how excited I was when I saw your photos, and that I can't wait for the palettes to release! I want them all!! !